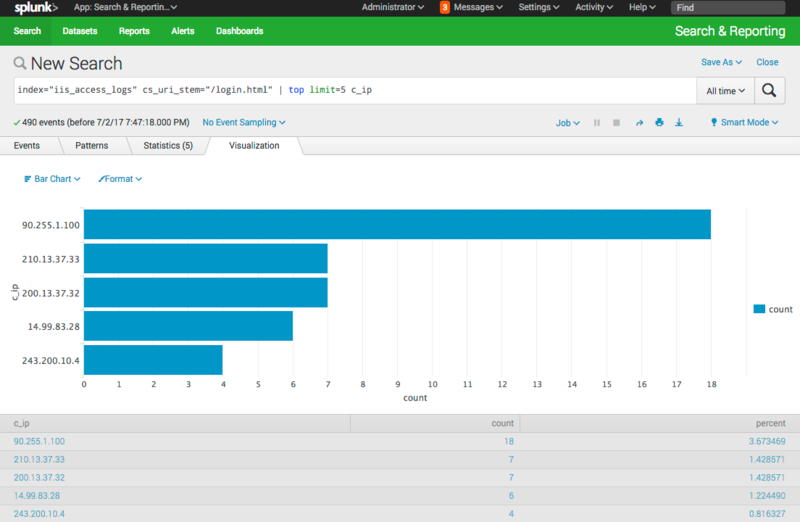 Splunk is an amazing logging aggregation and searching tool. Even though I’ve been using it a few months now, I feel like I am just scratching the surface of what it can do. My company recently switch over from the ELK stack (ElasticSearch, LogStash and Kibana) as we were moving to the cloud, with a focus on using managed services. The ELK stack is awesome, but it can be a pain to administer and extend. We were finding we spent more time administering our log collection pipeline as opposed to getting value from the logs it was storing. 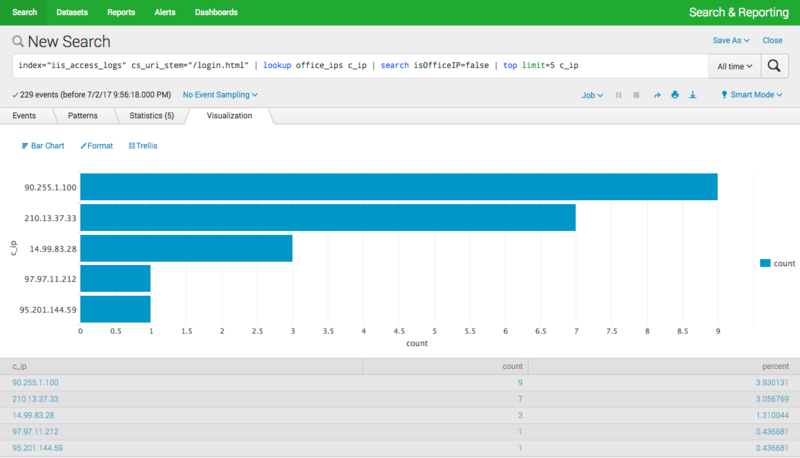 I thought I would start a series of posts called “Splunk Spotlight” where I focus on a single feature or command inside Splunk and show some examples of how it can be used. Time for our first Splunk command! 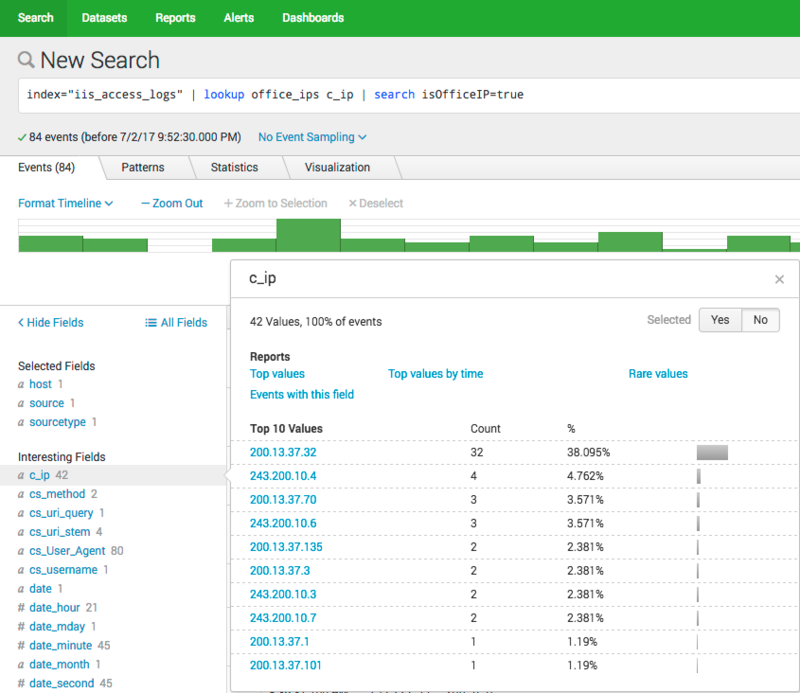 The Splunk lookup commands allows you to use data from an external source to enrich the data you already have in Splunk. 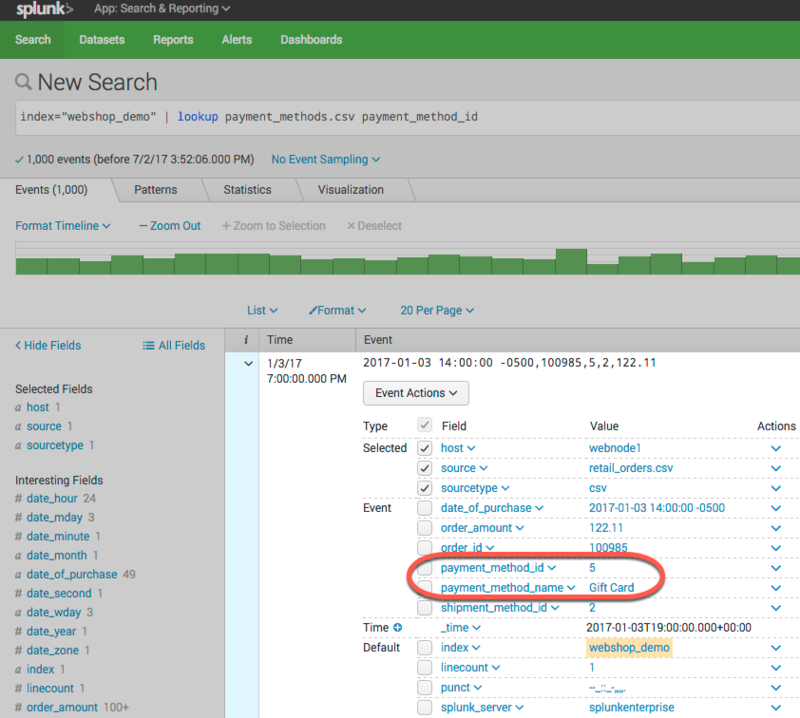 You can find the full documentation for the lookup command on the Splunk documentation page here. I have created some fake test data from Mockaroo for the examples. All IP’s and Data used in the examples is fake. Let’s upload it to our Splunk instance. To keep our Splunk installation clean, let’s first create an index to store the demo data. Now that we have loaded our data, let’s look at some examples. In this example, let’s pretend we have an online shop. 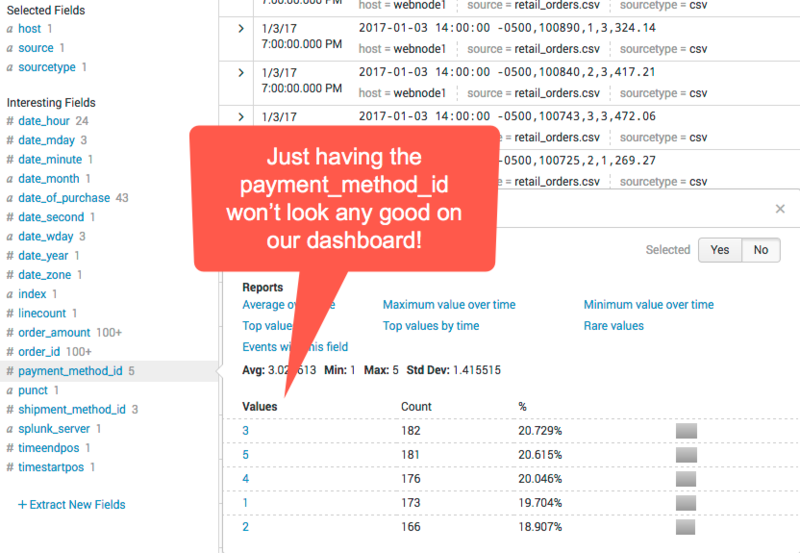 We instrument the code of the shop to send a log message to Splunk every time someone makes a purchase. Our goal is to create a dashboard to see the types of payment methods the orders created with. Unfortunately, in our code we don’t have the text values for Payment Method. We don’t want to do a database query to find them out every time we send an order as this would slow down our ordering process. We also don’t want to hard code the payment method names in our code, as new payment might be added at any time by our billing team. This is where a Splunk lookup can help. Save this CSV file as payment_methods.csv. We need to upload this file to Splunk so it can use it to do lookups on our data. Tip: To allow other people to use the lookup file, you will need to edit the permission to make it shared in App. 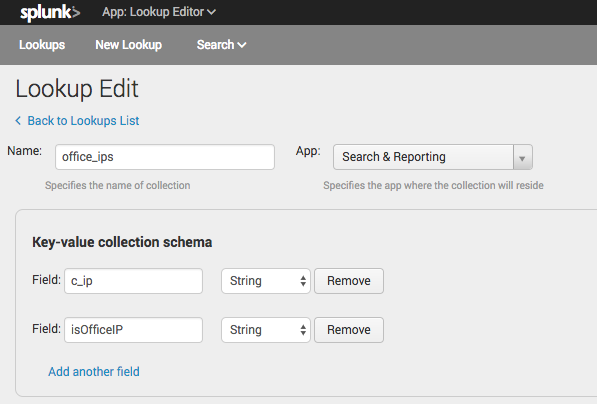 Next we need to let Splunk know how to use the lookup file we added, and how it can use it to match and enrich fields in our searches. 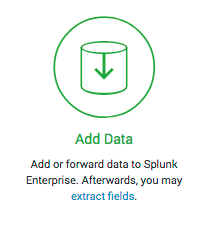 Splunk will detect the supported fields in the CSV file. 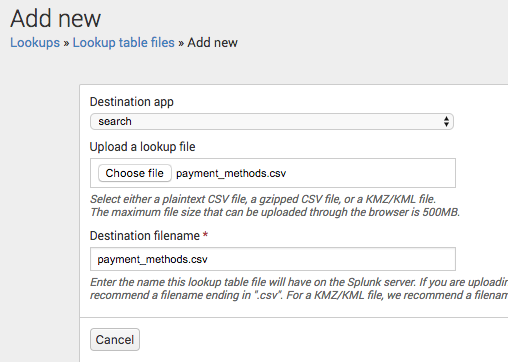 Splunk is matching payment_method_id from our lookup csv file and adding the additional field payment_method_name. 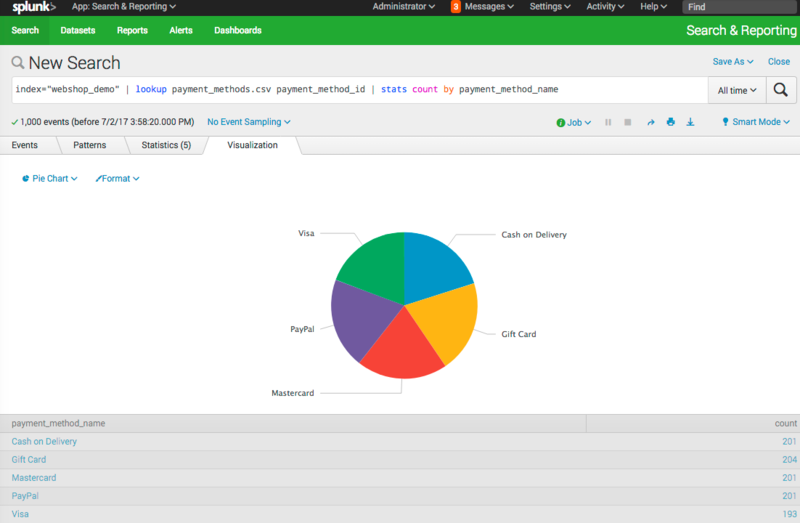 This allows us to use the name of the payment method instead of the value when we make our dashboards. In this example, let’s pretend we have been asked by security to make a report of the top 5 IP Addresses that accessed the login.html page on our web application. We need to get this from our web server access logs. You run this query and give security the results. Security comes back and says “can you make this again, but this time not include any of our own IP addresses?”. You look at the top 5 and realize that 3 of them are actually coming from the companies two office locations. This makes sense as many employees use the web application, but we need a way to filter those out. This time, lets use a KV Store lookup. You can create and update a KV store using the Splunk REST API, but we will use a Splunk Addon to manage the KV Store via the Web UI. Enter the two CIDR IP ranges and enter true in the isOfficeIP column. Choose the search app as the destination. Enter the name of office_ips, choose the Type of KV Store. Enter the Collection name of office_ips. In Supported Fields enter c_ip,isOfficeIP. Expand out Advanced Options and set Minimum Matches to 1. Set Default Matches to false. This is so that even if the IP doesn’t match, we will get an isOfficeIP of false. For Match Type enter CIDR(c_ip). This will make Splunk match the IPs in the web server logs c_ip field to the CIDR ranges we used in the KV Store. Once you do the search, you will see a new field is added to the events showing which IP’s are in the office ranges, and which are not. We can filter by only hits inside our office IP range. Now we can finally give the security team the report they want. 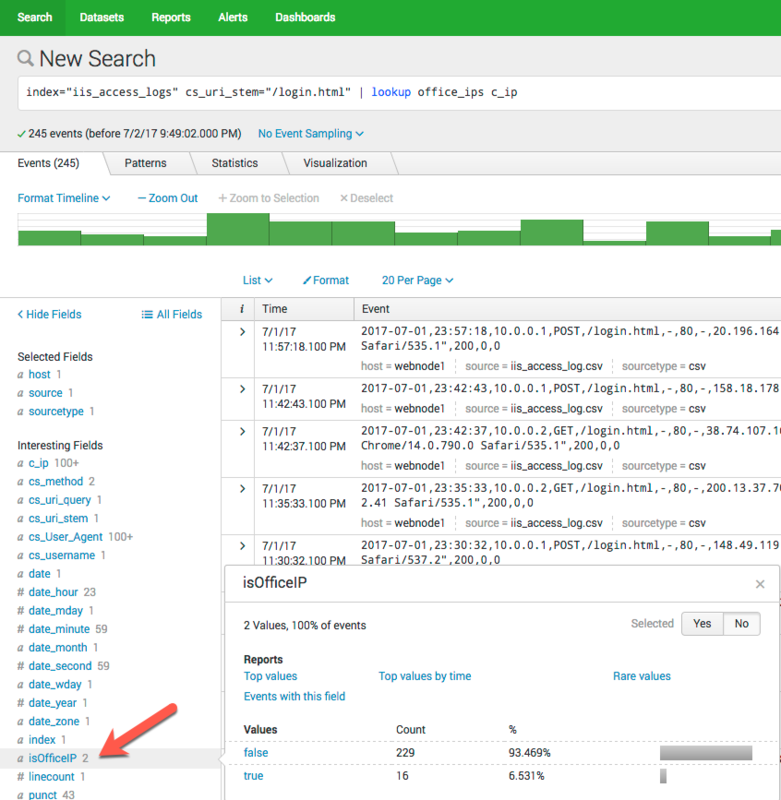 The Splunk lookup command is a wonderful way to enrich your data after it has already been collected. It can help make your searches and dashboards more useful by giving you contextual information. You can also use the powerful CIDR matching functionality to group IP addresses and search based on things like offices or VLANs. 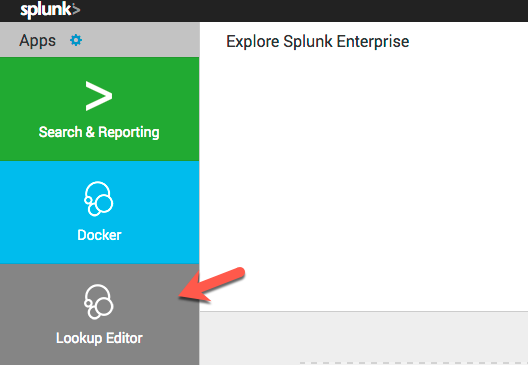 If you want more information, go and check out the documentation over on the Splunk Docs site. 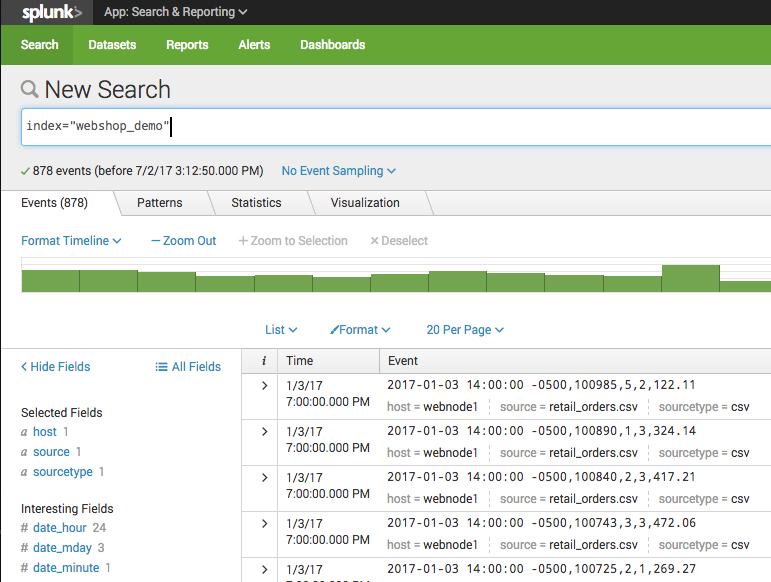 Would you like to know when more of these “Splunk Spotlight?” posts come out? Make sure you follow me on Twitter @MattHodge and I will post new articles there.